IIR Group Gambling Research Services (IIR Group) is an independent organisation that provides immediate access to cost-effective research reports that are delivered to you by our skilled team. Experts in the field of casinos, bingo and bookies, our research also tracks and compares key facets of legislation and regulation across jurisdictions. We provide independent analysis of legal and policy developments, plus the context gaming industry professionals need to understand what regulatory change today means for business opportunities tomorrow. With many jurisdictions introducing new licensing for online and land-based gambling it has never been more important to have access to reliable intelligence about market regulation and what the future holds. IIR Group offer existing market participants, regulators, governments and investors easily accessible and up-to-date information on market realities. We track regulatory change across the global gambling industry, to reduce regulatory risk exposure with legal, regulatory, political and market information and data, and bespoke research services. At IIR Group, our research will also help you improve the odds of successfully marketing your gaming product by identifying the primary determinants of gambling spend, frequency and venue for poker machines, casino table games, wagering and sports betting, and online gaming. Our gambling research reports contain comprehensive data to help you compete successfully in the marketplace. Commissioned research reports will help you identify gambler demographics; rates of participation, frequency and spends; specific venue gaming behaviour; comprehensive venue loyalty measures; client activities and attitudes outside of gambling, and quantification of market shares across gambling methods. Our Gambling Consumer Profiles can be created for your brand, venue or product. These provide a clear and comprehensive picture of your target market’s demographics, lifestyle, media habits, brand awareness, purchase intentions, satisfaction levels and values. 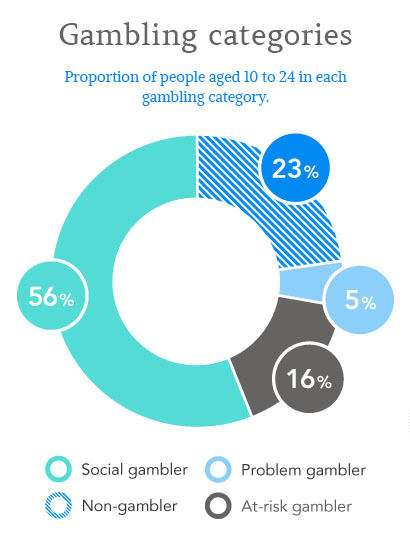 At IIR Group Gambling Research Services we understand that it is absolutely vital for business to identify trends and patterns in participation and spending as they appear, to enable you to adapt to changes in legislation, technology and consumer attitudes. Our Gambling and Leisure Trends Report, Industry Reports and Consumer Profiles (to include gamblers, non-gamblers, heavy, and light gamblers) help key decision-makers with the most accurate and relevant information. IIR Group’s in-house analysts have an extensive network of contacts among policy-makers. The team has several decades of experience to help them analyse regulatory change as it affects casinos, bingo and bookies in the gambling industry.